JANVS was born in 2003 as a solo project of Vinctor; after recording some advanced material, the project signs an agreement with Pagan Moon Records for the release of the debut album, “Nigredo” (PGM-008, 2004), in a limited edition and with a special package. In 2005 B. Malphas (Tronus Abyss) as bass player and F. La Rosa (Ianva, Malombra, Segno del Comando) as drums player joined the band whereas Vinctor keeps handling vocals and guitars. 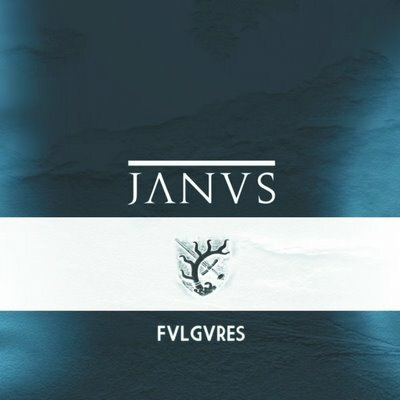 The new album proposes a wide change in style and a great improvement in quality standards, It is called “FVLGVRES” and it is made up of 7 tracks for more than 40 minutes of music. Conceptually the album is based upon the shattering of human limits and condition, upon the longing and the temporary conquest of real moments of awareness and contact with the peaks of transcendence. As already stated musically expect something intense, aggressive, melancholic, solemn.